We’re starting the new year off right: making friends, doing good, and being fashion forward*. 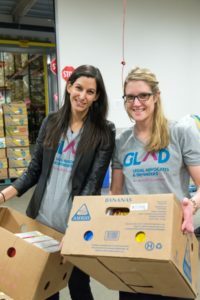 Join GLAD Forward to volunteer at the Greater Boston Food Bank. 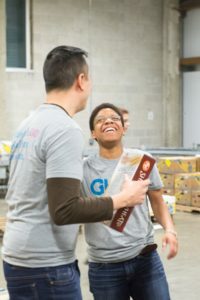 We’ll roll up our sleeves to sort and pack food to help those struggling with hunger. It’s a chance to hang out and have fun while supporting a great local organization that helps so many LGBTQ individuals and families in Boston.